There is an old saying that goes “You win some, you lose some” and it sums up my recent angling exploits. Fishing a Dover Sea Angling Association mid week species open on Dover’s Southern breakwater. Not a large entry, so the rules were flexible with two rods and three hooks allowed. The idea was to catch the biggest of each species. Now the breakwater wall is alive with dogfish both on the outside into the open sea and in the harbour behind. The species have increased in numbers, like they have elsewhere, to the extent that on occasions they are thin and obviously struggling for food, but that’s another story. So catching a dogfish was not a problem, avoiding them was! To start I fished one rod with a float for mackerel and garfish and the other down the wall with booms fished just under the surface for bass with a head hooked ragworm. Three hours into the event with the sea chocolate brown with the May water, not a bite, except for dogs. Nearby Mick Tapsell from Folkestone even caught a doggie fishing near the surface on his bass booms. With the tide flooding and the evening coming hopes of a last hectic hour were proven when Folkestone’s John Wells of the next peg to me hooked a bass of 3lb, I followed suit with a smaller fish and then the float dived under and I had a mackerel. Peak tide on the breakwater wall and the tide run changes to flood hard towards Deal and then as it slows it’s the hot time for big fish, cod in the winter and in the summer smoothhounds and so I baited with a one up one down rig with two big peeler crabs on 3/0s and cast the Force 8 as far as I could. A small bite signalled something was at the bait, probably a dogfish, but on the retrieve the rod bent over and the clutch slipped as the fish reached the wall. “Net” what a lovely word – Anyway I landed an 11lb thornback ray and a 3lb 8oz smoothhound on the same cast, what a result and my first ever thornback from Dover breakwater. The species have been on the rise around Kent and are now starting to appear from the piers and other beaches, how long before one is landed at Seabrook or Hythe? So a great weekend when everything came together. In between I won two small midweek coarse matches before going to Grimsby on the river Humber to fish the Penn sponsored Clubman final for the Sea Angler Magazine team. The event, which I organise through the magazine, is a national club team event and apart from a host of sea fishing tackle prizes the winning team fishes against a team selected by the magazine from the anglers that either write, or are regularly featured. In this case the SA team was myself, Chris Clark, George Smith, Paul Fenech and my old mate John Wells who stood in at last minute for Editor Mel Russ. The team we were fishing against were 2011/12 Clubman Champions, the Senhouse Street SAC squad from Cumbria and they were captained by Mark Scott and included Paul Crellin, Rory Campbell, Mike Edmondson and Dave Brunton. George guided us to the venue, which was the Courtalds Strait on the south Humber bank – A stretch of sea wall famous for its cod in winter whilst in summer flounders and eels with the bonus you could fish from your car! The ten competitors were pegged out with plenty of room and after the starting whistle it was clear that the down river end was the hot spot and an end peg vital. Well my luck had changed and I drew a middle number and ended up last individually! This was the one I lost and I suppose there is a certain irony in that it’s often the more important competitions that your luck deserts you, lots of match anglers will relate to that. Team wise Sea Angler won by some 300 cms with George Smith and Chris Clark top on the day with enough points to the event one their own. George did particularly well from his end peg with 18 fish and you can read all about it in a later edition of Sea Angler. I am currently testing and reviewing bass rods, lure bags and lures for Sea Angler Magazine over the next few issues and the collection from the various manufacturers is amazing. I must say the quality of most of the gear is really good with some excellent value for money. You can pay a small fortune for a bass lure fishing rod or buy one fairly cheaply although the quality and performance is definitely proportional to the price. Look out for the lure review especially its got most of the lures that the bass angler will need including the latest holographic plus and soft plastic baits. It’s the hot time for bass coming up in many regions with some bigger fish starting to move around at the end of the summer. Hopefully I shall be off to Ireland for the peak bass season there with TF Gear and that’s the plan for the next DVD. 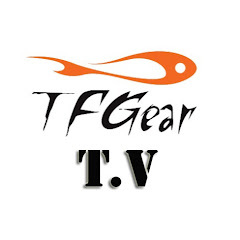 The current free DVD from TF Gear comes with the latest edition of Sea Angler magazine and includes lots of sea angling info and tips that should prove useful to the novice and improving sea anglers. Paul Fenech and myself spent a day on the beaches at Sandown and Seabrook in Kent making it with cameraman Lloyd Rogers. I have since upgraded my own camera equipment and hope also to bring you a few video blogs in the near future. Canterbury, Kent sea angler, Andrew Griffiths is in the news after catching an impressive porbeagle shark. Andrew who fishes annually out of Milford Haven, West Wales aboard, White Water, perhaps the most successful shark charter boats around the UK, hauled in one of the biggest porbeagle sharks landed in the British Isles, certainly the best ever caught aboard White Water skippered by Andrew Alsop. The fish was caught on a live whiting fished on a “ready rod” This is a rod baited at readiness for any sharks seen close to the boat around the chum which is a fairly common occurrence and tactic when sharking, especially overseas. The rod a Shimano travel rod was cast at the fish and it took Andrew 40 minutes to boat the powerful shark during which time the skipper had to back the boat up towards the fish to regain Andrew some of his line. The fish was returned alive after measuring (82”long with a girth of 46”) with the length for weight chart crediting it as 234.4lb. July can be a difficult month for lots of sea anglers around the UK, not only with the daylight beaches etc crowded with holidaymakers, but the humid conditions definitely put the fish off feeding and coming close to shore. In some regions, particularly the south, some species have passed through on their migration north, whilst in the far north some may not yet have arrived. All in all it can be a frustrating time and it pays to be a little more selective with your venue choice. Those remote rock marks and deep piers are favourite from the shore, but a trip wrecking on a charter boat is also worth considering because the calmer weather is the most favourable for reaching some of those far off barely fished virgin wrecks. Check out the Whitby and Tyne charters for a deep North Sea trip, Milford Haven is also a worthwhile destination for sharks, whilst on the English Channel coast big congers and some huge black bream are in range.